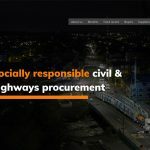 On 29 January 2019, Cardiff County Council launched a new website for the third iteration of the South East and Mid Wales Collaborative Civil Engineering and Highways Construction Framework (SEWH). 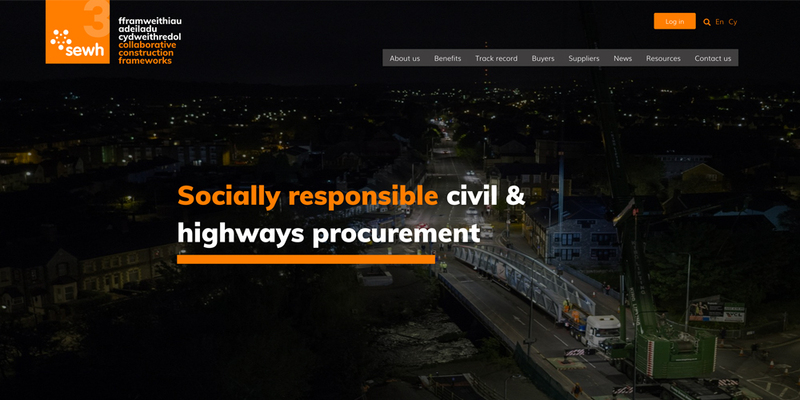 Providing the public sector access to an EU compliant framework of suitably qualified contractors, and enabling and encouraging best value competitive procurement in the Welsh civils and highways sector, the website was designed by Arts Factory Design, a social enterprise and graphic design studio based in RCT. Run by an experienced senior management creative team, Arts Factory Design financially and sustainably supports its community-based sister charity Arts Factory. Income generated by the studio, after costs, is used to support and upskill marginalised people who need it most – people ‘written-off’ by society due to mental, emotional or physical challenges. The Cardiff County Council procurement team approached the design studio at a targeted ‘Meet the Buyer’ event organised by Social Business Wales in 2018. The event intended to focus on the delivery of social, economic, environmental and cultural well-being by: integrating SME’s and Social Enterprises into supply chains; and by attracting and commissioning providers capable of addressing both corporate social responsibility requirements and of delivering social value. Arts Factory Design and their web developer partner were briefed in September to produce a multi-page, multi-functional bilingual site and meet a tight January 2019 ‘go live’ deadline, which they delivered by working closely with SEWH team.